CHATTANOOGA Funeral for Joan Kay Simpson will be at 2 p.m. Thursday, Dec. 17, 2015, at Centenary United Methodist Church with the Rev. Dr. Norma Quinn, senior pastor, officiating. Burial will follow in Sunset Memorial Gardens under direction of Becker-Rabon Funeral Home. 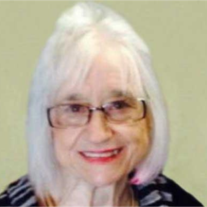 Joan Kay Simpson of Chattanooga, passed away Monday, Dec. 14, 2015, in Lawton. She was born Nov. 1, 1936, to J.D. "Jiggs" and Deva Pyron, of Dill City, Okla. Joan began her life as a country girl with many friends. At an early age, she developed a talent and a love for music. Joan graduated from high school at Dill City in 1954 and continued her education on a scholarship in music at Southwestern Oklahoma State University. She graduated with honors in 1957 with a degree in Music Education. Joan married Garth "Jack" Berry, originally of Cordell, on May 24, 1957. They began their teaching careers in Geronimo, where Jack was a coach and Joan taught music. Later, the couple moved and taught at Oakwood. Joan and Jack had two sons: Brett and Blake. The family moved to Lawton, then later moved to El Reno, where Joan assisted in the family business. Later, the family returned to the Lawton area, where Joan assisted teachers at the Douglas Learning Center. After almost 32 years of marriage, Joan's husband, Jack, passed away on March 26, 1989. After a period of grieving, she was reacquainted with an old friend that again brightened her life. Joan was pleased to marry Darrell Simpson of Frederick on July 16, 1992. This marriage expanded her family by a son, Danny, and a daughter, Tera. The couple lived in Frederick, where Darrell was a senior vice president of a bank. Later, the couple retired to the community of Chattanooga, where they were engaged in banking and agriculture.The couple had been married 23 years. Joan loved music. She played the piano for many occasions including churches in Frederick, Lawton, and Chattanooga for over 50 years. Joan enjoyed the company of many family members who came to visit and then those they traveled to. Joan also enjoyed the many friends she accumulated through the years and continued to contact. Joan was preceded in death by her parents: J.D. "Jiggs" and Deva Pyron; her husband, Garth "Jack" Berry; and brother-in-law, Dean Stallings. She is survived by her husband, Darrell Simpson, of the home; four children: Brett Berry and wife Mary, of Bryan, Texas; Blake Berry and wife Sandra, of Cordell; Danny Simpson and wife RaeNell, of Montgomery, Texas; Tera Shuart and husband Scott, of Blackwell; a sister, Jeri Stallings, of Canyon, Texas; seven grandchildren: Chad Berry with his wife Lindsey, Jordan Berry, Hesston Berry, Haley Berry, Jordan Weekley with her husband Kyle, Jacob Shuart, and Abby Simpson with Liz; and three great-grandchildren.